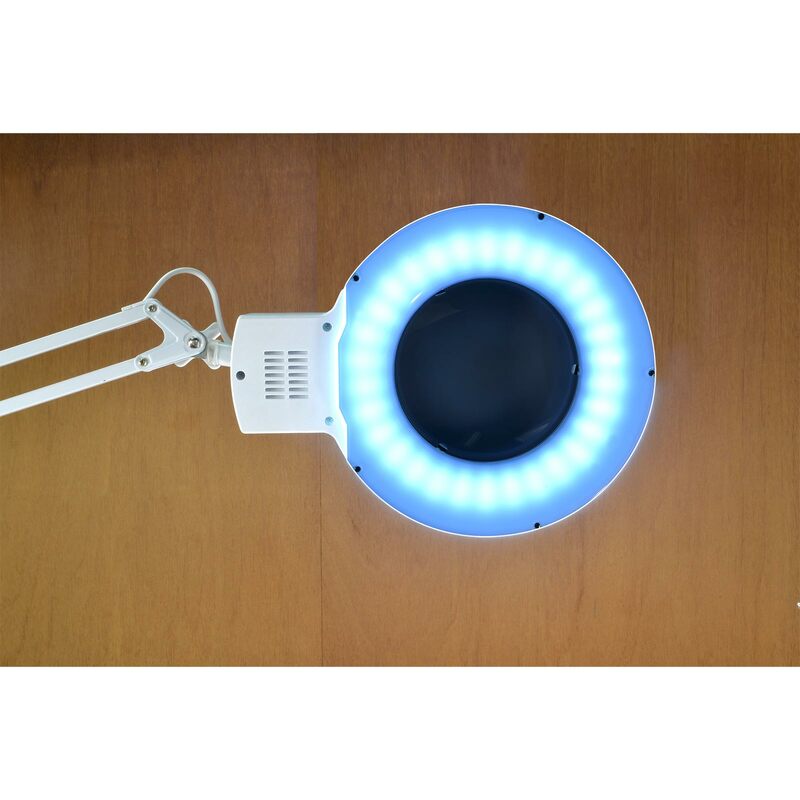 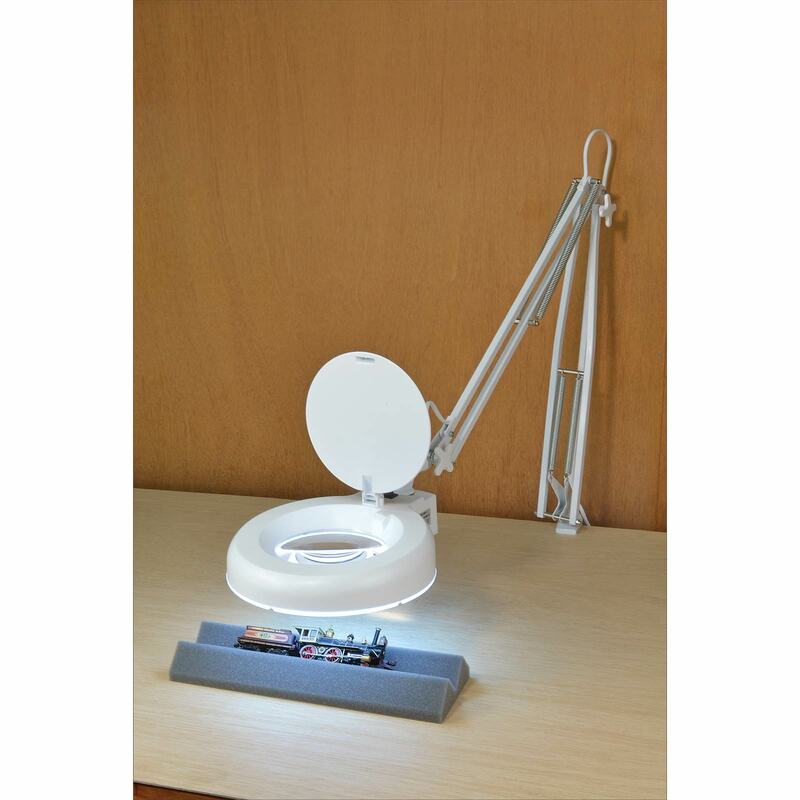 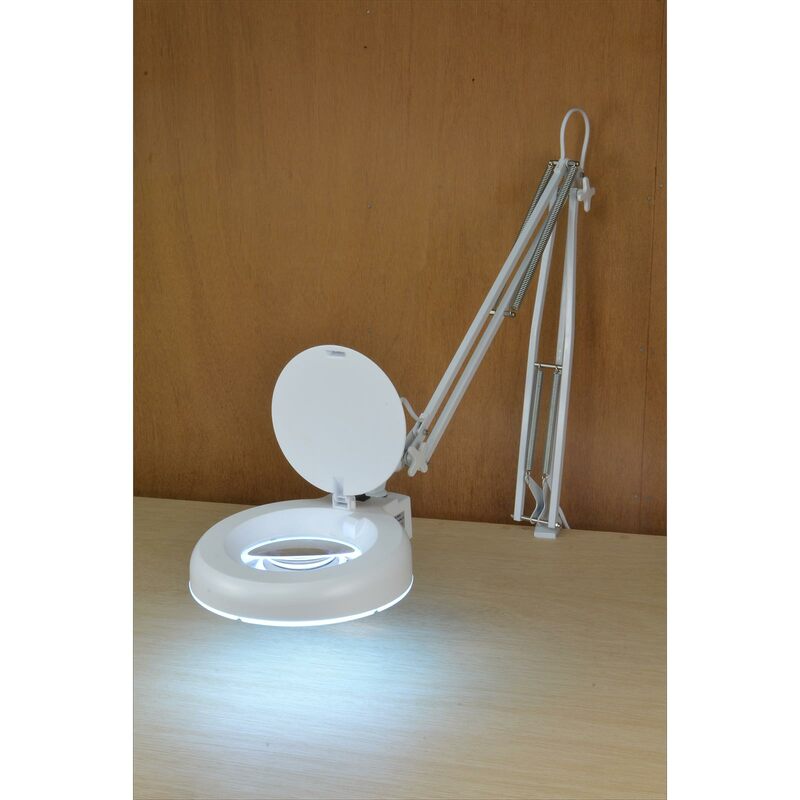 The sturdy, all-steel articulated arm of our Lamp / Magnifier puts the power of 90 long-lasting LED lights right where you want them, illuminating your work area with brilliant, cool white, shadow-free light. 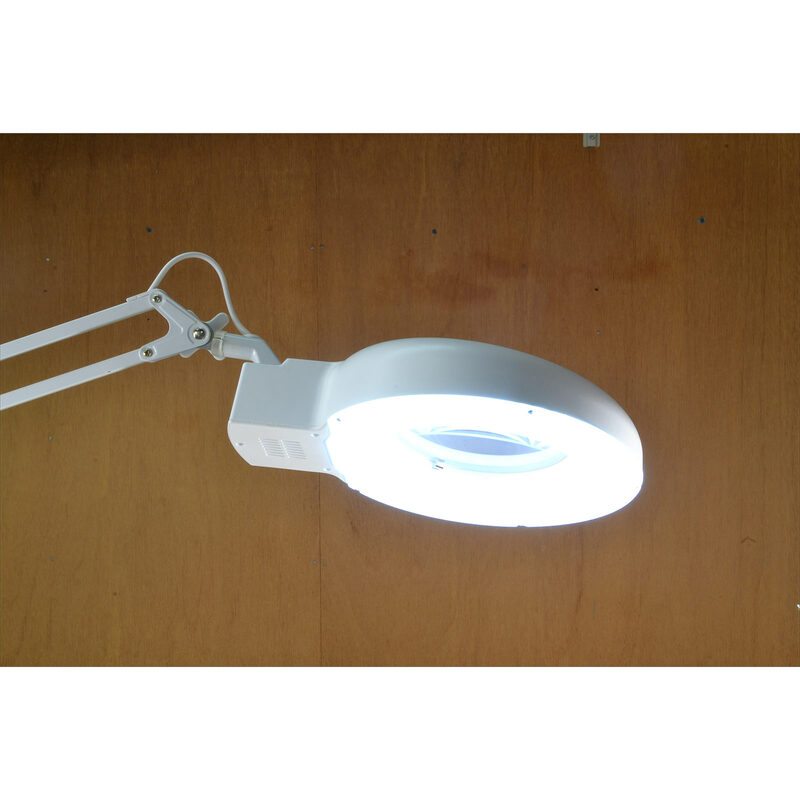 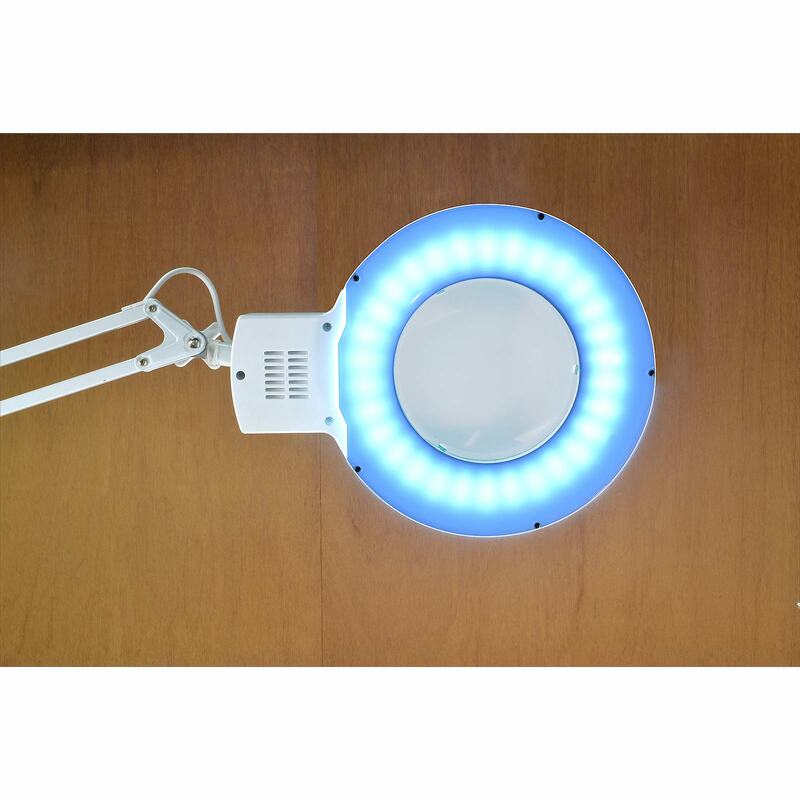 Unlike fluorescent lamps, this 7 watt, 1000 Lux LED-equipped model is completely silent and the light is strong and continuous; no annoying hum or distracting flicker. 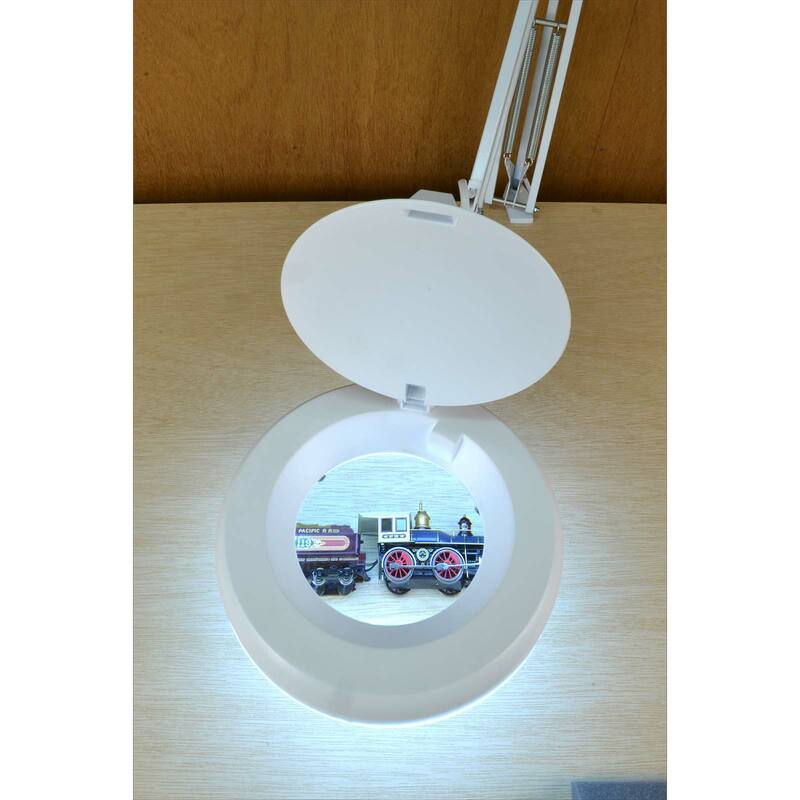 The 5 inch diameter optical quality lens enlarges to 1.75x actual size at working distance of 13 inches (3 diopter). 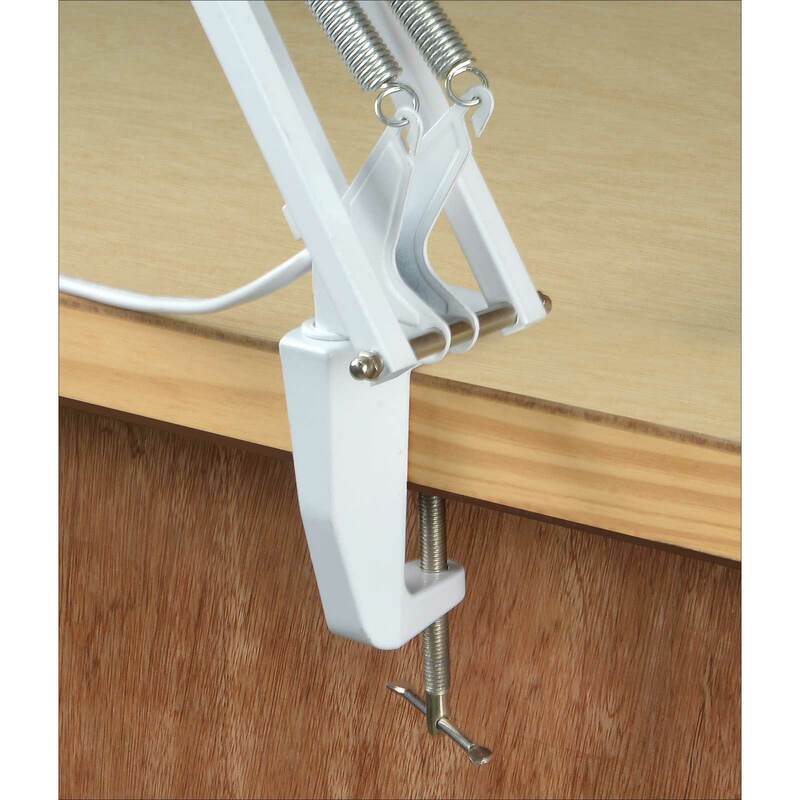 Convenient bench-mount clamp attaches in seconds to any tabletop up to 2-3/8 inches thick. 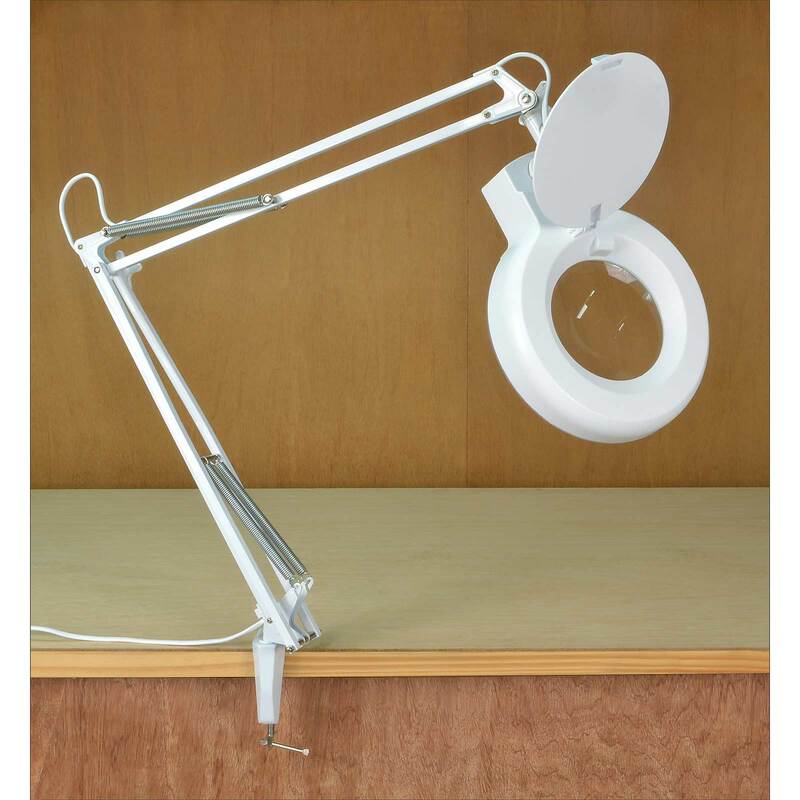 Spring-balanced arm extends up to 36 inches, providing excellent mobility, and the integrated lock knobs keep the lamp exactly where you want it while you work.